from Pine Mountain Club, California. 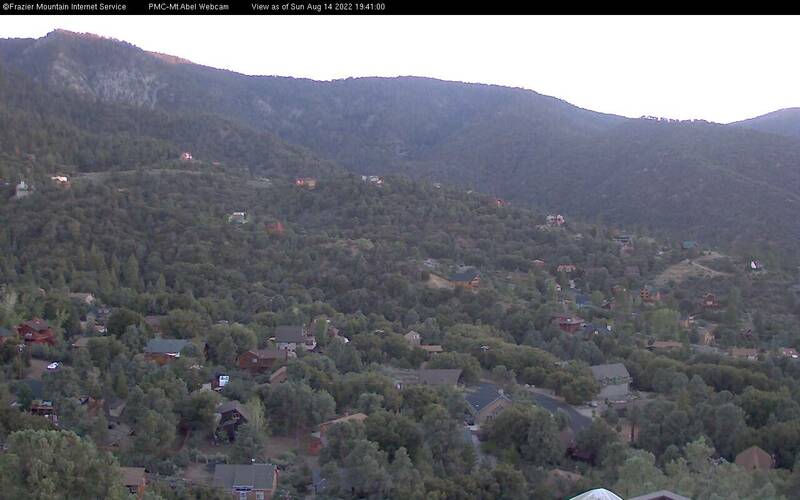 This Web Cam is located in the home of Scott and Barbara Rosen, owners of Frazier Mountain Internet Service. The Web Cam faces southwest towards Sawmill Mountain and Mt. Abel. Sawmill Mountain is the large mountain in the upper left of the frame, and Mt. Abel (also known as Cerro Noroeste) is the mountain at the far right of the frame. The large mountain in the middle of the image is Grouse Mountain. This image overlaps the view from the PMC-Mt. Pinos Webcam in that the PMC-Mt. Pinos Webcam shows Sawmill Mountain in the upper right of its frame. Copyright 2018 by Frazier Mountain Internet Service.